cURL is client-side URL transfer library which allows you to connect and communicate to many different types of servers with many different types of protocols. It supports http, https, ftp, gopher, telnet, dict, file, and ldap protocols. 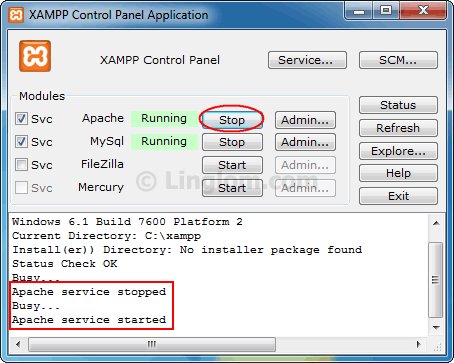 This article shows you how to enable cURL on XAMPP on Windows 7. 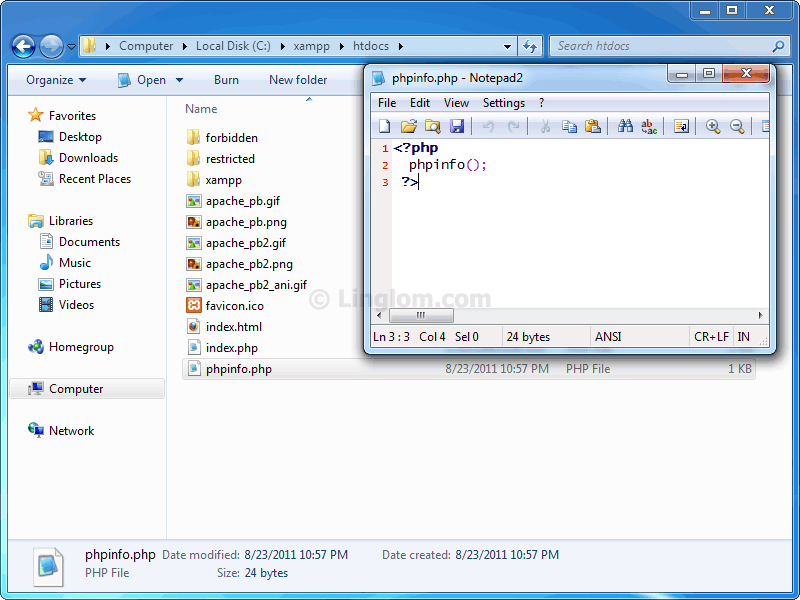 Locate php.ini in xampp directory. 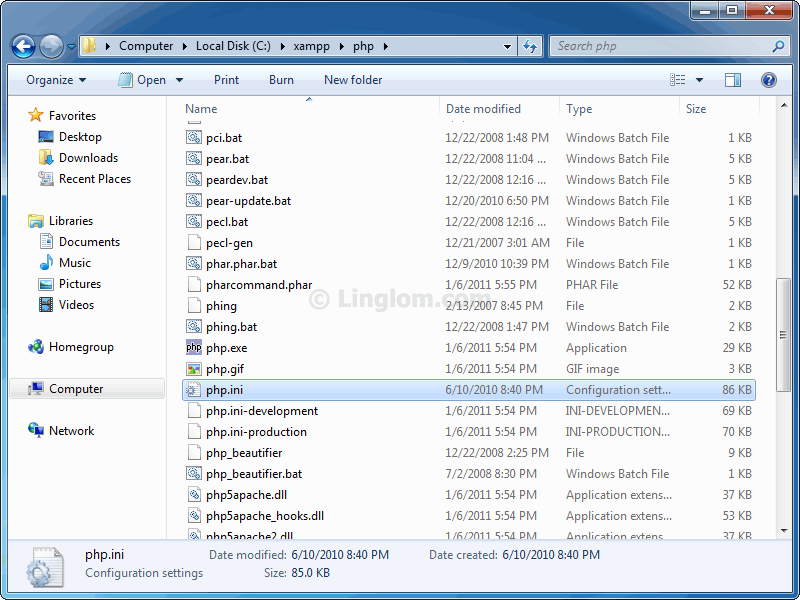 By default, it locates in “xampp/php/php.ini”. 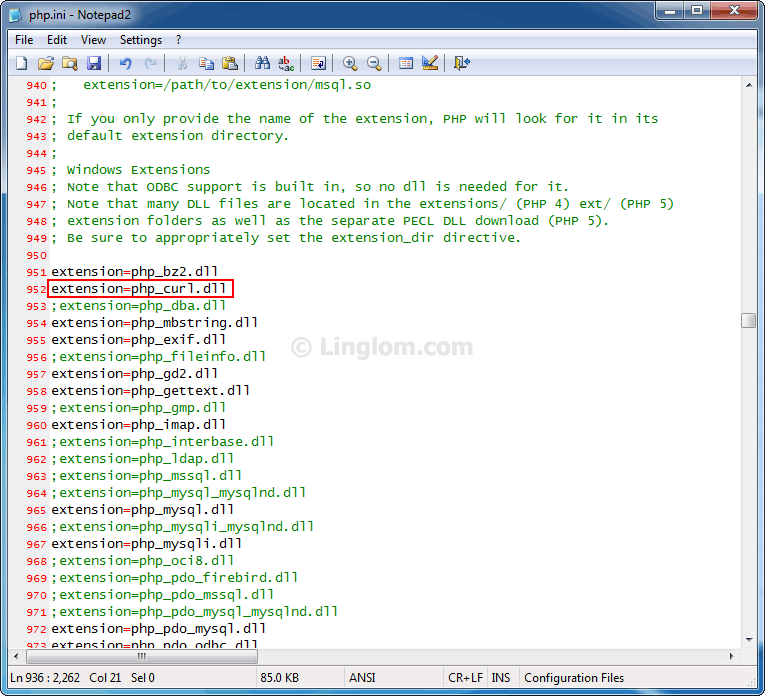 Then, open the file with any text editor. 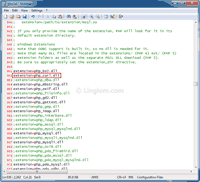 Uncomment the line below by remove the semi-colon at beginning of the line and save the file. Next, restart apache service. 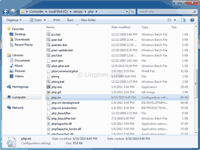 You can do this through Windows services or using XAMPP Control Panel. 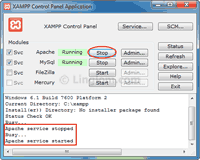 Open XAMPP Control Panel, click on Stop button of the Apache service. Once it stops, click Start button. Now cURL is enabled on XAMPP, you can test by create a PHP file with the code below and save to htdocs folder. Open the browser and navigate to http://localhost/phpinfo.php. Scroll down to find curl section, you will see that it is already enabled. 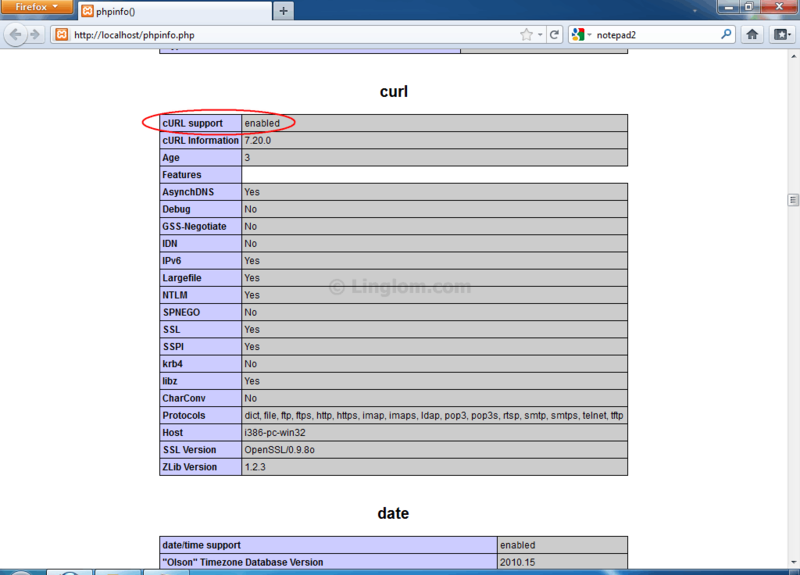 If you can’t find curl section, it means that cURL isn’t enable on the server.